Unleash The Power of the Heart and Mind provides the inspirational direction for how to enliven the heart consciousness in order to access the ‘Powers of The Heart’ then linking that state to the subconscious and conscious mind; which in turn is able to connect to the higher consciousness. The inspiration of the heart linked with the higher consciousness once in prefect sync provides a powerful force to not only drive but create reality in the way you have programmed through logical thought. It is not as some believe a choice between the intellect of the mind and the intuition of the heart; rather the unification of these two conscious states is the answer. Relying only either on the intellect and logic of the mind is limiting and gains from the support of intuitive insights from the heart’s intelligence. 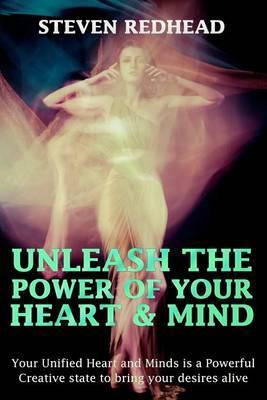 Utilising the Power of the Heart in conjunction with the Mind is the most significant choice you will make in life. The heart is not only an intuitive source but also a creator capable of bringing or driving your desires into action. Allow the abilities of your heart and mind to combine forces to bring into being within reality those things will serve you the best. The heart generates more than just intuitive feelings and desires but also the conscious means to bring them into reality. Intuition and desires born from the heart consciousness are given the power to become real with perseverance. Achieving your heart’s desire is the key to living a joyful life of bliss. By following your heart you won’t go far wrong, for linked to the heart consciousness are the desires of the higher self’s conscious states. Utilising the power of the heart is one of the most significant choices that you will make in life.